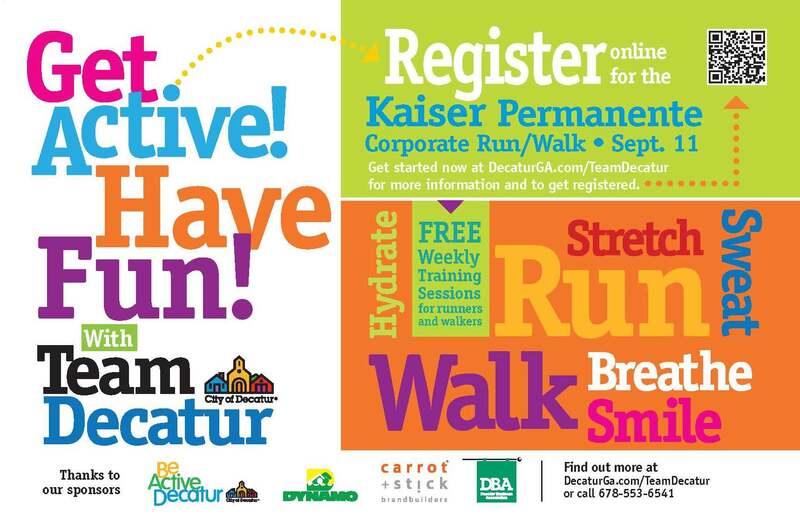 Team Decatur Kick-off is Tuesday! Join Decatur Active Living for the 4th Annual Team Decatur Kick-off and Health Expo at the Decatur Recreation Center on Tuesday, July 15 from 6 – 8 PM. Meet Olympian Jeff Galloway and get some great running tips. More information about Team Decatur is here.